Napoleon's Hat biscuits or Chapeaux communs biscuits. Napoleon’s Hat biscuits is another one of the Royal recipes I’m sharing today. Mildred Nicholls, the famous cook that worked at Buckingham Palace when Edward VII was on the throne made these biscuits. She called them Chapeaux communes and these were made as a snack to take with them in their country pursuits, when the Royals were going fishing or shooting. Napoleon’s Hat biscuits are made with pastry that is wrapped around marzipan. They might be dipped in chocolate or not. I didn’t dip them in chocolate this time. If you want, you can use shop bought marzipan. I’m not too keen on the marzipan that’s available in the supermarkets as it contains much more sugar that I would use, thus the almond taste is not as strong. Furthermore, I do make my marzipan with rose water and that gives it an extra layer. Of course, you can make marzipan with water for a more neutral taste or use orange blossom water or any other flavouring you fancy. I’ve made my Napoleon’s Hat biscuits with pistachio flavour as I ran out of vanilla. You can use what flavourings you have and think would work best. Start by making the marzipan. Put in a bowl the ground almonds and the icing sugar. Add rose water one spoon at a time and stir. Tip the mix on the worktop and start incorporating the ingredients. Add more rose water as is necessary. Also, if the rose water you are using has a strong taste, add a bit of water after the first couple of spoons. When the marzipan is ready, shape it into 20 identical weight balls. Now is time to make the pastry. Put the flour, margarine, egg, sugar, flavouring, and baking powder in a large bowl. Just mix all those ingredients together. Tip them on the worktop and knead until they are fully incorporated. Roll the dough to a thickness of 4 mm. Make sure you dust the worktop with plenty of flour so it doesn’t stick. Preheat the oven at 180C or 160C for fan assisted ovens. Now is time to make the biscuits. Cut the dough with a round cutter. Brush the biscuit with a bit of water. Place a marzipan ball in the middle and shape it into a tricorn hat, like the ones Napoleon or Poldark had. Pinch the dough so it stays in place. Put the biscuit on the baking tray lined with non stick paper. Repeat until you make all 20 biscuits. I needed two trays for all my biscuits. Bake the biscuits for 12 to 14 minutes. Remove the trays from the oven and leave them to cool for a few minutes before transferring the biscuits on the cooling rack. Enjoy your Napoleon’s Hat biscuits! They really look like a hat..so cute and bet they are very delicious too. the name is so funny like if my husband ask me what you have made today and I’m like a napoleon hat :p its really a easy peasy recipe. definitely going to try it! 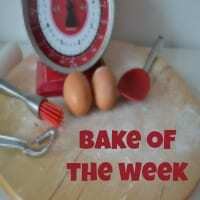 Anca I love reading and learning new things about baking when I visit your blog. Your biscuits are very sweet to look at and I bet they tasted lovely with the marzipan ball encased inside the hat.